James’ nursery is one of my favorite rooms in the house. 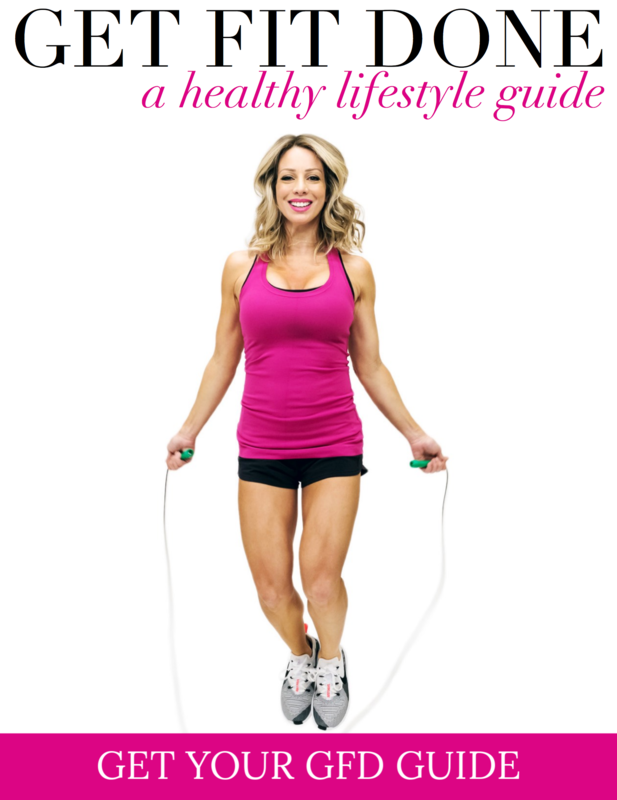 It’s playful and also soothing and has items in it that have special meaning for us. You can find James cuddled in my arms several times a day as I rock him to sleep in the glider. I cherish these moments as I know they won’t last forever. 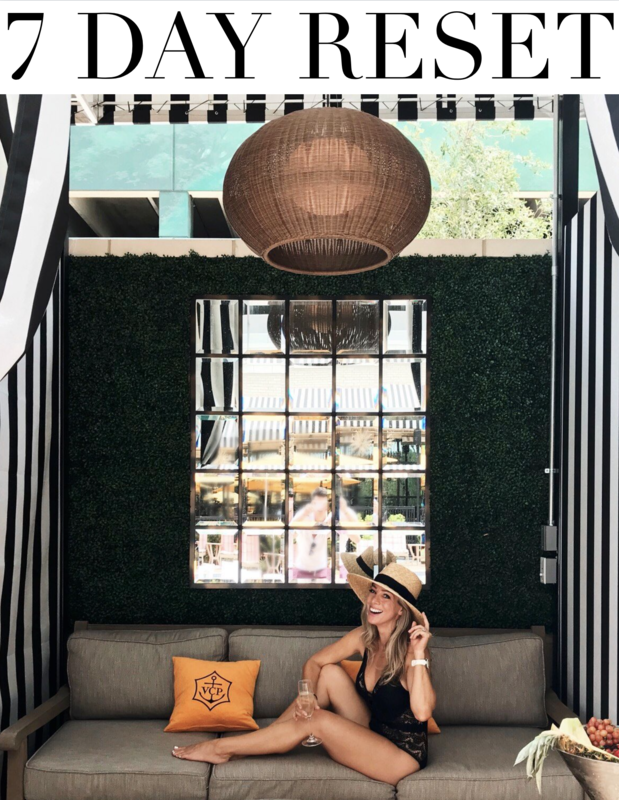 It’s fun to enjoy the room too. 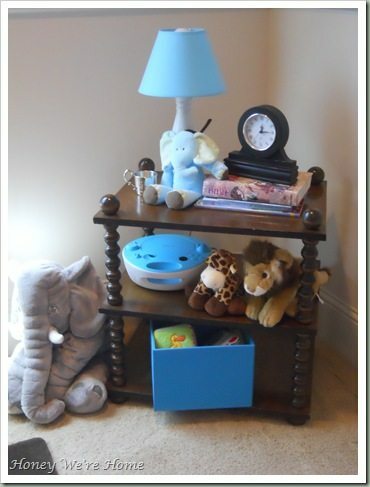 I wanted to do a play on a jungle theme with some stuffed animals and bedding, but keep it from being too “themey.” The beadboard is combined with Sherwin Williams’ Blissful Blue paint. The crib and changing table are by Baby Italia (Pinehurst Collection) and were bought at Babies R Us, along with the glider. The framed art is from a book called “I Love You More” and the frames are from Target (11 x14 frame with 8 x 10 mat). 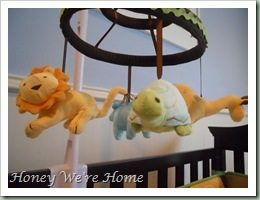 Baby bedding and mobile are from Amy Coe Zoology. 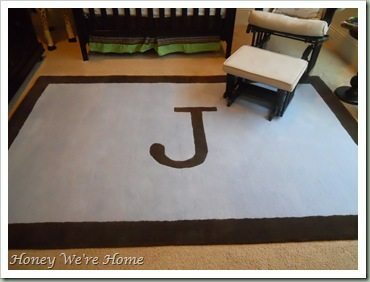 The boarder initial rug is from Restoration Hardware (8×10) Lamp, clock, CD player and storage bin (containing toys) are from Target. I think the stuffed animals are from Babies R Us. The Bibles are from me, my mom, and my grandma Nola. The one from my grandma was given to me when I was about 8 years old. The silver engraved cup is from a fellow attorney that I’m fond of. The table was made by Jimmy’s dad about 25 years ago. The shadow box is from Michael’s. 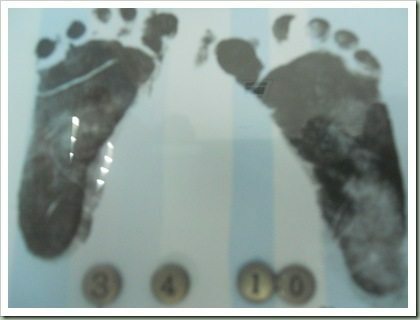 It includes the shirt, hat, and socks James came home from the hospital in, as well as his baby foot prints and the date he was born. This little giraffe was the first thing I bought for baby James. I got it in Vegas at the MGM gift shop before we were even officially pregnant:) The round table was purchased at Target. 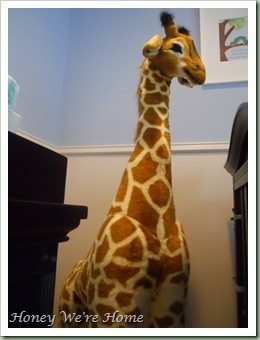 The tall giraffe (about 5 feet) is from Z Gallerie. James’ baby portrait (taken on the monogrammed diaper bag given to us by Tim & Allison) was taken by Kristi Zontini at Bella Babies in Houston. Here’s the coat rack I made. See easy tutorial here. This cross was a gift from my best friend. 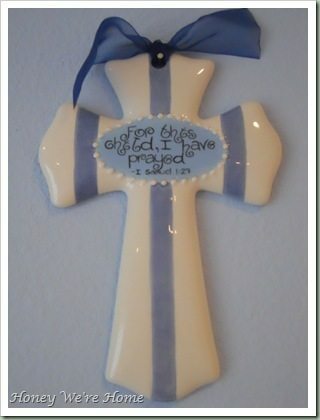 It reads, “For this child, I have prayed” 1 Samuel 1:27 I may add curtains in the future and I plan to buy this “You Are My Sunshine” art soon from Etsy Pretty Smitten (it comes in different colors). That’s the song my mom sang to me as a child every morning when she’d wake me up in the morning. Continuing the tradition, when I wake up James in the morning, I always say, “Good morning, Sunshine!” and he smiles so big. So, that’s our little nursery. Here’s a parting before and after shot. 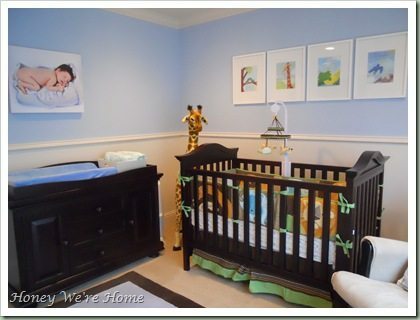 Of course, I couldn’t do a post about James’ nursery without including a picture of the little guy in it! *Here are the parties I’m linking to! 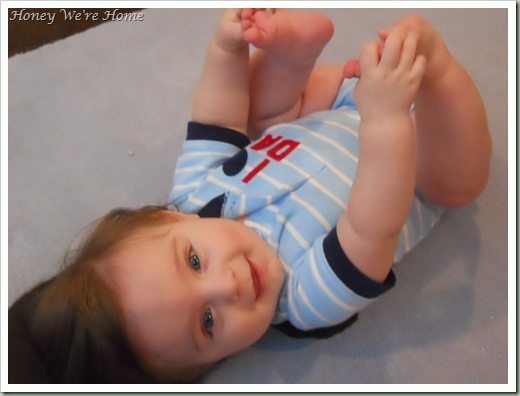 Your little baby is adorable. Also, the nursery is precious! I really like the blue cross, very nice! It looks fantastic! One is one lucky little boy! 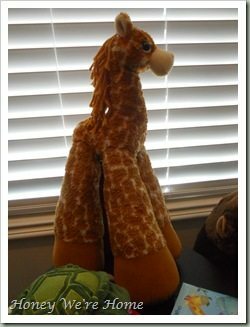 I just love the big giraffe – it makes the room!! I LOVE it!! What a great idea with the rug, it fills the room perfectly. I also love the picture frames, super cute! LOVE how the room turned out! It looks amazing! I really love the jungle animal theme and the giant giraffe is my favorite! 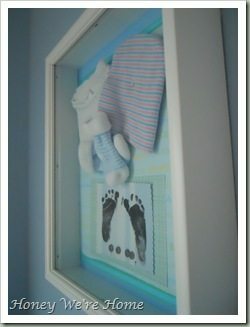 Also love the idea of framing foot prints with hat and first outfit! Might have to do that for my kids!! WOW!!! What a wonderful nursery!! I absolutely love it!! 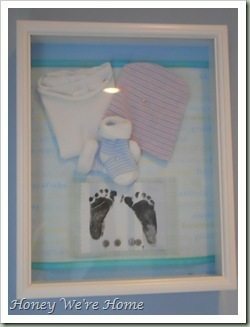 Do you mind if I steal your shadowbox and cross ideas?? I LOVE THEM!!!!! 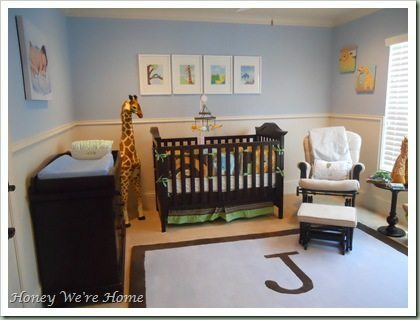 I just found out I'm having a baby boy and I've been looking for nursery ideas. This post has given me plenty! I'm so excited! Your little man has lots of hair!!! Too cute! 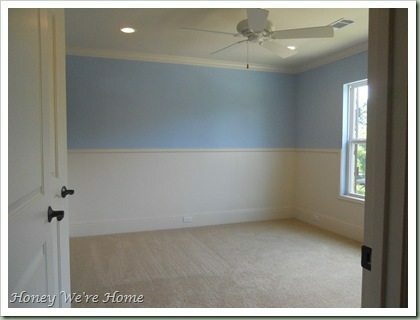 What a sweet and lovely room for your little boy. Nicely done! Super cute! 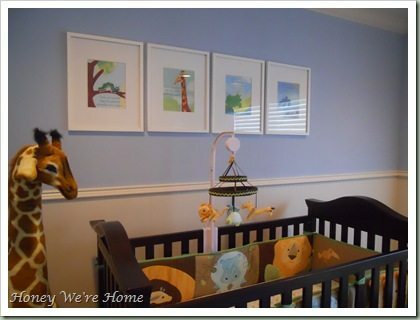 LOVE the giraffe and the pictures above the crib! The room is Super cute. I love the color and the jungle theme thats not to themey (is that even a word?). :o) James is also super cute. Enjoy the rocking chair moments now becuase they grow up in a snap. 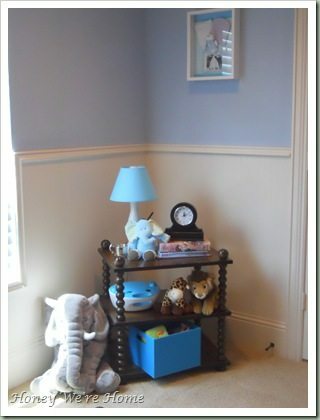 A beautiful nursery for a beautiful little boy! Awww I love his room! Simple, bright, cute & perfect for your adorable little man! I have a soft spot for giraffes so those would be my favorite elements. Well done & congrats on your James! Now that is one of the cutest nurseries I have ever seen!! Very fabulous! New follower! 🙂 Having a giveaway over at my place if you want to enter. You are an amazing woman. In every way. Love your family. 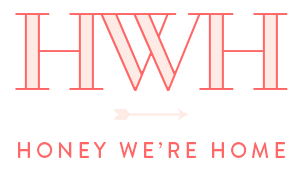 Glad I checked out your site. 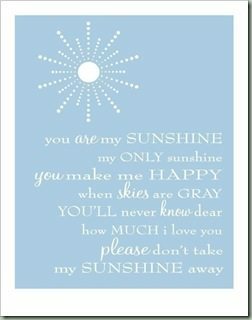 Cried remembering singing You are my sunshine to my precious daughter. What a sweet, sweet room for a sweet, sweet boy! Love the rug and portrait on the diaper bag. Eat it up bc you'll be doing his big-boy room before you know it! 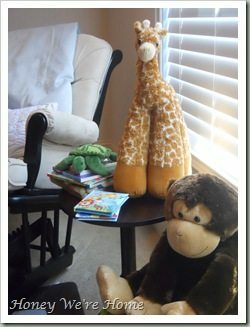 Working on transitioning from "nusery" to "big boy" room. We have the same beadboard and now think I might search out the rug!!! Such a great impact. Aw!!! After seeing this wonderful room, I kind of wish I could turn back the clock and redo my kids' nurseries. They're all teens or young adults now, so no chance of that happening, but there will be grandchildren eventually. 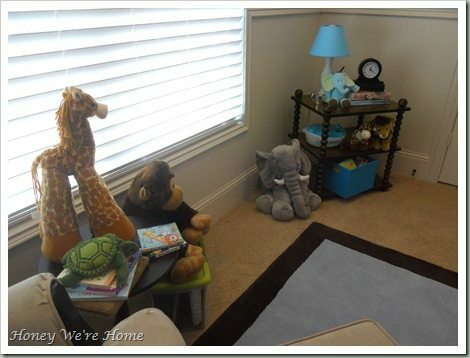 Megan — I am doing a feature on fabulous nursery spaces and wanted to include James' sweet room and feature your blog. Hope that is ok and hope you can come check it out! 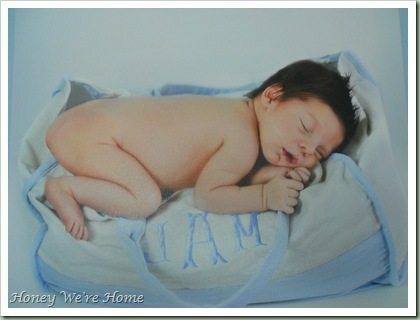 This seems to be a great site which offers an advanced Nursery Bedding, Crib Bedding, Baby Strollers, Nursery Glider Recliner, Little Castle, Little Castle Glider etc.and i would surely like to try their service…i had been relying on http://www.royalbambino.com earlier and they too offered good stuff. 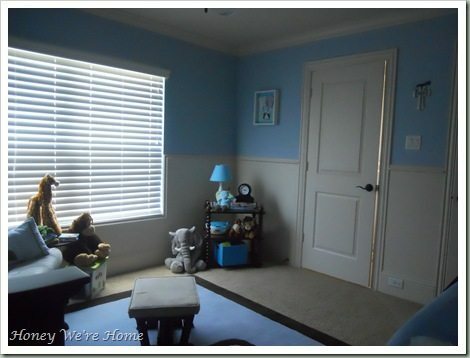 Once again, similar taste…love James' nursery, the blue is really calming, great for a sleeping baby, right? I'll do a blog post on Kendall's nursery later in the week or next week…great job! Cute nursery by the way! I just clicked through to read a different post, but had to check out your nursery too. It's adorable! 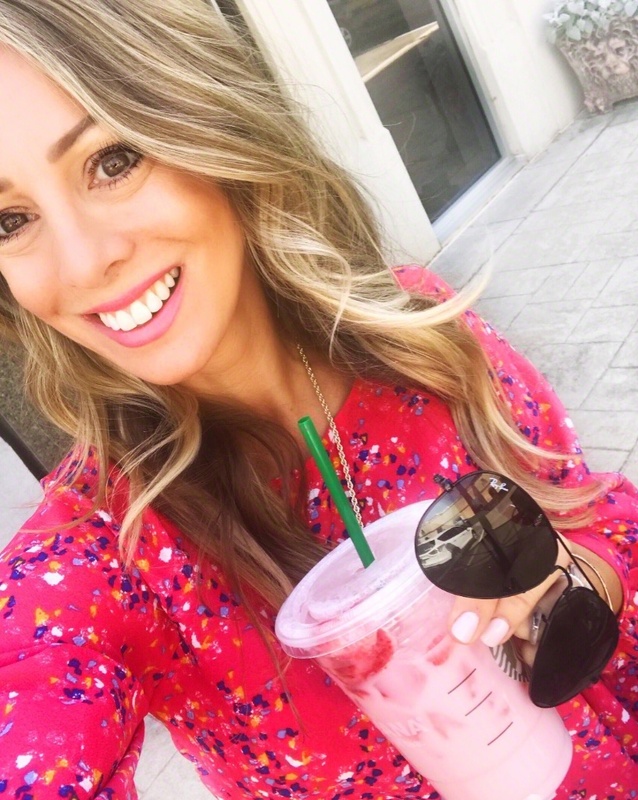 Are you done with the mobile and/or willing to sell it? I have the Amy Coe Zoology bedding and matching stuff, but need the mobile. nstilber@gmail.com please email me if you can help!! 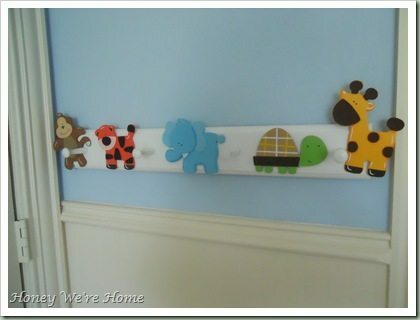 cute nursery! 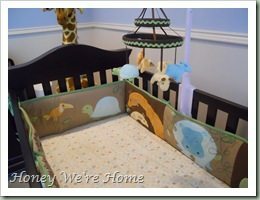 we also used the amy coe zoology bedding in our daughter's nursery (see pics here: http://623designs.tumblr.com/post/16877994950/little-a-s-nursery). i was just looking around the net for some ideas of how others used the bedding. we're awaiting the arrival of baby #2 so i want to make some new bedding for our oldest that will coordinate with the crib bedding. What is the name of the brand/color on the bottom?